The other day I was feeling a little bit down. But then I thought, you know what, I’m going to go buy some fried chicken. Now, I don’t want to promote the idea of emotional eating, but when I bit into that first crunchy, salty morsel, bursting with flavour and chicken-y juices, I felt an emotion which can only be described as elation. I was led to question why I was feeling down in the first place, when I had access to so much enjoyment for just $2.20. This was just one episode in my recent passionate love affair with fried chicken. The steamy romance began about a month ago. I got a craving for it out of the blue, and living in Newtown, I despaired of the absence of a KFC in my immediate vicinity. But I ventured out, hope in my heart, heading for my local takeaway joint – Clem’s. I didn’t know it at the time (in my naiveté I didn’t even know if they sold friend chicken there) but in reality Clem’s fried chicken is something of a legend. Since my first fateful bite, I have spoken with countless people about the perfection of this fried chicken. I even spoke with one lady who lives in Cronulla, but still occasionally goes to the trouble of driving all the way to Newtown just to grab some of that heavenly chicken. After discovering how much joy fried chicken brings, not only to me, but to countless others, I decided it was my duty to share as much chicken-y wisdom as possible with our loyal readers. So I have undertaken the task of researching the different kinds of fried chicken available (who knew there were so many?) and listing the best places in Sydney to get greasy with some chicken. This is the traditional kind of fried chicken we associate with KFC. The bones and skin are left intact and the crispy batter is seasoned with salt and a mysterious mix of herbs and spices. It will come as no surprise that Clem’s took out this category hands down. The pieces range from $2.20 to $2.40 each or you can (and should) get a five pack for $10.50. The prices are good, the chicken is mind blowing and the service is surprisingly good. The last time I went there, I was told that I would have to wait five minutes because they were making a fresh batch of chicken. I was given a chicken strip to munch on while I waited and they gave me an extra piece for free to make up for the measly five minute wait! I highly recommend a visit to Clem’s. Korean fried chicken is fried not once, but twice, making it crispier and miraculously less greasy. The chickens used are smaller and more tender and the seasoning varies from savoury to sweet. The spicy version is fried in a specially formulated batter mix then glazed in a sticky mixture of ginger, soy sauce, sugar and gochujang (Korean chilli paste). There’s also a plain super crispy version, or one tossed with a sweet soy sauce. Sparrows Mill is the new kid on the thriving KFC block and it has blown the competition out of the water with its perfectly seasoned, crunchy and succulent chicken. With 12 variations on the menu, prices range from $17 – 18 for half and $32 – 34 for whole. 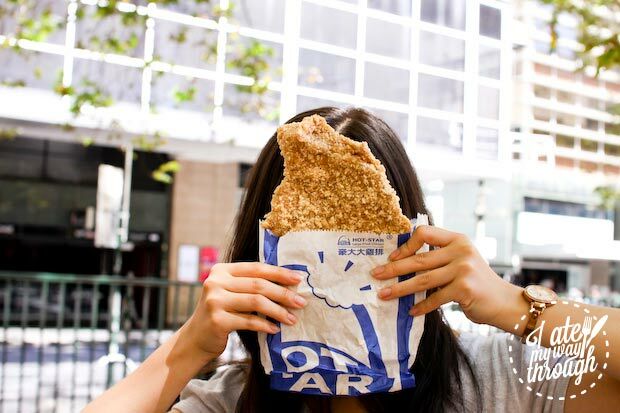 Conveniently located in the CBD, it is definitely worth a try if your fried chicken cravings are Korean in nature. We highly recommend the snow cheese flavour (pictured above, right) which has the savouriness of Twisties and the comforting qualities of fried chicken. While western fried chicken concentrates on a thick and favourful outer batter, Thai Fried Chicken has a thin and crispy outer coating with the marinade flavour reaching deep into the meat. The Had Yai Fried chicken at Cayson has a perfectly light and crispy outer batter with a beautiful golden brown colour. The well balanced marinade flavours the chicken, creating the perfect mouthful. $6.90 for two big pieces is a pretty good price for this restaurant quality dish. 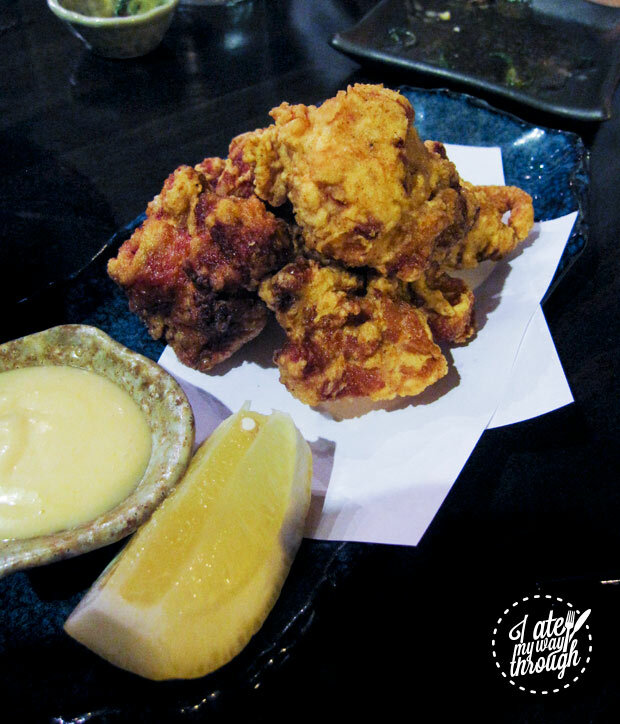 Chicken Karaage, consists of small pieces of chicken, marinated in a mix of soy sauce, garlic, and ginger, then lightly coated with a seasoned wheat flour or potato starch mix, and fried in light oil. In typical Japanese stye, it is the classiest and most sophisticated version of fried chicken out there. Kenji’s Fried Chicken ($13.50) consists of juicy and tender chunks of chicken with perfectly executed clean and crisp ginger flavours. Only the breast is used in Taiwanese Fried Chicken, it is marinated in soy sauce, sugar, garlic spread, rice wine, five-spice powder and spices powder. It is then dipped in beaten egg and dredged in flour or sweet potato starch and fried to spicy crispy perfection. Chicken slabs the size of your head, tender, juicy and flavoursome meat and a crunchy spicy outer layer, all for $7.90. Hot Star is the pinnacle of Taiwanese Fried chicken. The magic of fried chicken has clearly permeated many cultures and we can now enjoy the innate soothing qualities of chicken in a fried batter in so many different ways. Previous articleChristmas in July! Fancy some mulled wine? Next articlePaddock To Plate Tour: How Well Do You Know Your Steak?